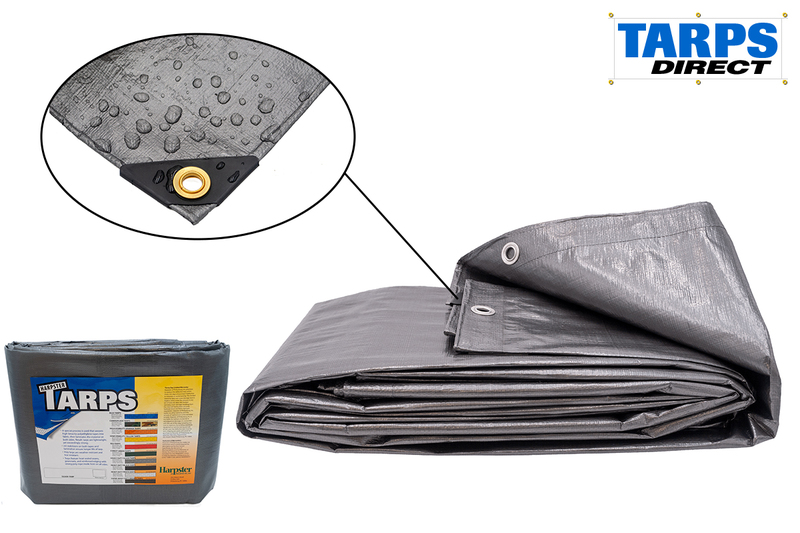 Our 6.0 ounce silver poly tarps are waterproof, mildew proof, tear and acid resistant. They have an 11-12 mil thick, 14x14 weave count with grommets approximately every 18". 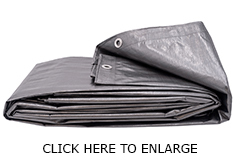 These tarps are heavy duty making them very durable, and their silver color blocks 100% of the sun's rays which make them a great option for many activities. The silver poly tarp is six ounces per square yard - twice as heavy as our blue "economy" tarps - making it a heavy duty material. It is extremely durable and able to be used in a variety of ways from covering outdoor furniture to farm equipment. Construction firms use these silver tarps to cover equipment and materials on jobsites. Because of their ability to block 100% of the sun's rays, this makes the silver tarp excellent for providing shading on decks, patios as well as anywhere else that shade is required. The silver tarps are opaque, making them great canopy tops to provide the ultimate shade spot on hot summer days.